Kelly Marchand has been a licensed attorney for 12 years. She has extensive experience in risk management, specializing in investigating and settling various types of insurance claims, as well as analyzing coverage questions for insurance syndicates in the Lloyd’s of London market. Ms. Marchand is also an experienced litigator, handling a broad range of legal matters including the defense of insurance companies against first party lawsuits, the defense of policyholders in personal injury lawsuits, and the defense of health care providers, including long term care facilities in professional liability cases. 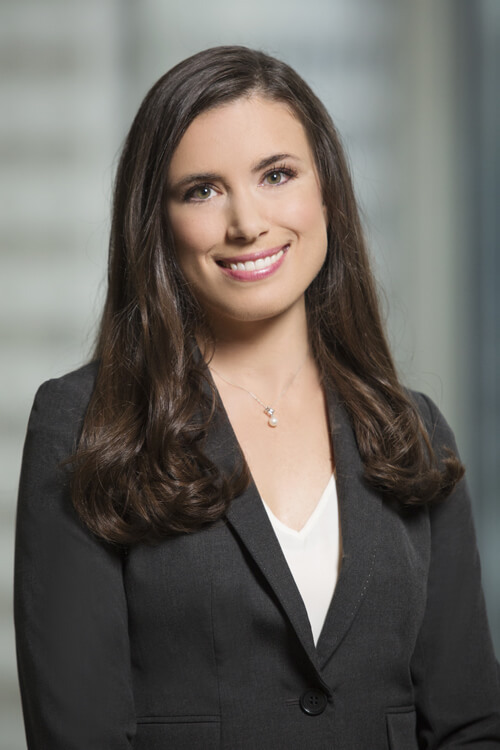 In addition, Ms. Marchand is an experienced legal liaison between insurance carrier and defense counsel and often serves as the carrier’s representative in mediations. Advises insurance carriers on coverage issues in first and third party claims. Prepares coverage opinions for insurance carriers. Provides strategic advice to insurance carriers concerning pre-litigation claims. Attends mediation on behalf of insurance carriers. Works closely with TPAs on coverage concerns, the defense of policyholders, the defense of insurance carriers and the settlement of litigated and non-litigated claims. Defends policyholders against personal injury lawsuits. Defends insurance companies against breach of contract and bad faith lawsuits. Drafts, files and argues dispositive motions on behalf of insurance carriers and/or policyholders. Represents physicians, nurses, hospitals, and long-term care facilities in all stages of the litigation process. Performs site visits at long-term care facilities across the state.